She’s classy and a role-model for all up and coming girls. Smart and self assured, yet blushing and sweet. She’s great in everything she does. This Bollywood Queen has a perfect face. What films of hers do you like? Isn’t this pair of peepers what she’s really famous for? I can’t really say she’s an actress unless you count her voice as a Smurf as acting. Still, her eyes are pretty amazing and bankable. I don’t think she has great acting abilities, however, does she need them? She’s utterly gorgeous and many a man find her eyes hypnotizing. The best actress out there working today–sorry, Meryl, you have great blue eyes, too–but Cate’s pale blue eyes transform with every role. From Elizabeth to Blue Jasmine and everything else in between, her acting is golden. Cute and eternally the girl-next-door, her blue eyes are breathtaking. I’m glad she won an Oscar for June in Walk the Line. While many had mixed reviews for Peter Jackson’s King Kong, I thought it showcased Naomi Watts best acting job. She was perfect–vulnerable, precious, compassionate, and beautiful. Her friendship with a CGI monster was believable. I loved her vaudeville act on the ledge of the cliff as she tried to woo King Kong. In the 1980s and 90s, this former winner/loser Miss America has since done everything from dancing, singing, acting, and producing. Is there another word for beautiful? Somehow the word is banal when you look at her eyes. 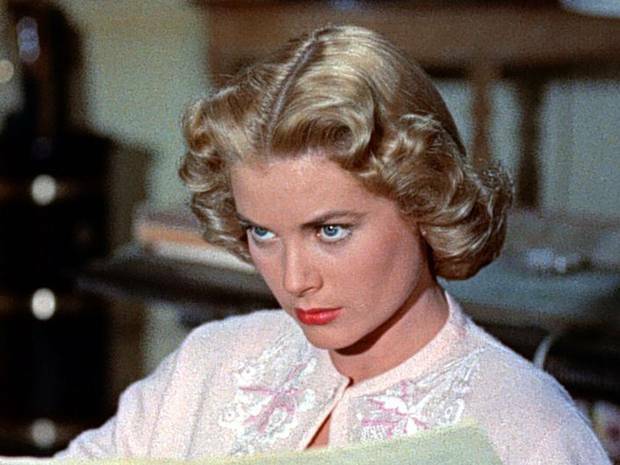 Before there was Naomi Watts there was Grace Kelly. Same porcelain skin, same regal, cerulean hues. They say that violet colored eyes are the rarest of them all. She was a fine actress in Cat on a Hot Tin Roof, Cleopatra, and Who‘s Afraid of Virginia Woolf? She has reigned supreme for half a century as the actress with the most beautiful eyes in Hollywood. 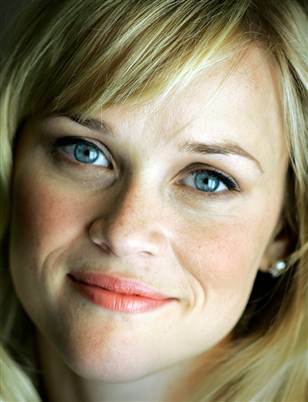 There are many actresses I failed to mention with exceptional blue eyes. Who are your favorites? Wonderful list. Emily Blunt stole The Devil Wears Prada – we watch and rewatch it just for her scenes! OK … I can jump in here. I like Renee Zellweger eyes a lot … kind of squinty. Angie has nice eyes too … and lips …….. . . . . I had no idea that Vanessa Williams’ eye color was truly blue. Go figure. A terrific list of some wonderful beauties and of course, a few incredibly talented folks behind those peepers. Oh my, lots of my fave actresses on here! Glad you included Aishwarya-rai, she is absolutely gorgeous! Love her in Bride & Prejudice. 🙂 The power of the eyes! Thanks Ruth. Of your choices, I have to agree with you regarding the lovely Cate with her strong, pleasing features, the classic beauty of Grace Kelly, and the drop-dead gorgeous looks of Liz Taylor. Were Bette Davis’ eyes blue? Why did I think Marilyn had brown eyes? I was thinking of adding Doris Day–gosh, there’s so many to choose from, so I’m glad you’ve listed some great choices. I was tried to select modern and go backwards and by the time I did that, there were only two spots of the list of 10 to choose from. 😉 I should have done a list of 20. I can get lost on the web, looking at photos of the stars. Always great fun. Liked your addition of Doris Day; I’d forgotten about Doris. A great lady. Meg Ryan’s eyes are indeed a shade of blue and although it’s a cliché, they had a certain sparkle in every film she made in her heyday. I was especially taken with the kohl-eyed look Meg sported in “Addicted to Love”. It’s hard to look past Elizabeth Taylor as #1 but Bette Davis also had fabulous marlen blue eyes, similar in colour to Elizabeth’s and they were famously immortalised in song. Paul, enjoyed your remarks. Marlen blue eyes for Bette… I like that description. These are hard to beat, but I would like to add Elizabeth Rohm, who played ADA Serena Southerlyn in Law & Order. Always a great post, Cindy. Wonderful list, Elizabeth Taylor had such amazing eyes. I’d love to see these classic beauties captured with today’s cameras. I don’t think we really know the depths of color Elizabeth’s eyes were like. Violet. How cool would that be to own a pair! What a great list. As you can guess, I LOVE that Blunt is at the top! Well deserved. And I was really hoping Grace would make it. Stunning beyond words. Thanks, Keith. Blunt is gorgeous and so is Grace. There’s so many not on the list from the classic era that could have made it–Doris Day, Bette Davis, Marilyn Monroe….